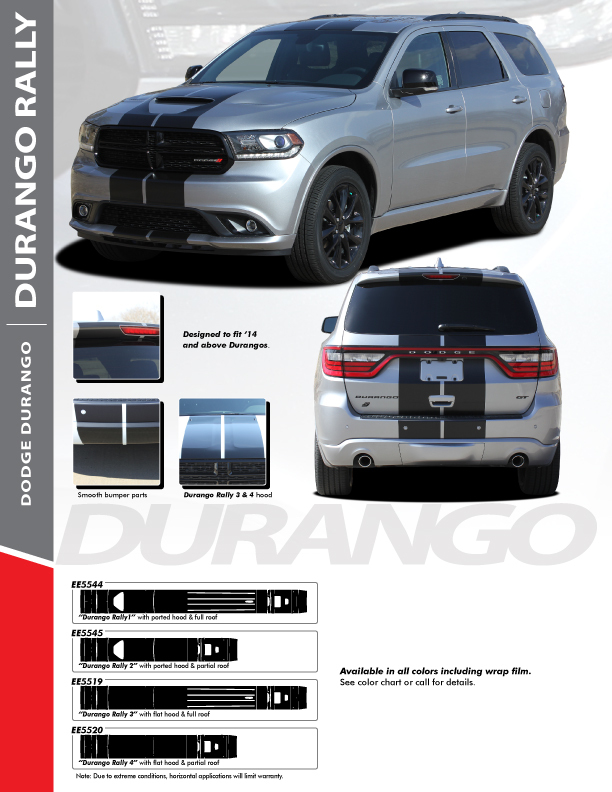 Upgrade your NEW Dodge Durango with this Dodge Durango Rally stripe kits. These 2014 2015 2016 2017 2018 and 2019 Dodge Duango SRT, GT or RT Racing stripes have a factory style look for the Dodge Durango has been designed specifically to fit the hood, roof and rear hatch of the Racing Stripes for Dodge Durango perfectly. Hood, Roof and Rear Hatch Side Stripe Graphics.